A culture of family and partnership with DDEX team members and customers makes Direct Drive Express the best choice for your Midwest trucking needs. Family owned, DDEX is personal enough to care about the smallest, seemingly most insignificant aspect of your trucking delivery requirements, yet our substantial, cutting edge Milwaukee based trucking fleet and state of the art truck routing and trucking shipment tracking make our 99.4% on time trucking delivery record possible. Yes, the DDEX crew is made up of the best, most committed to your complete satisfaction people, from our award winning truck driving staff to our owners, making DDEX the best choice for all of your Wisconsin trucking needs. 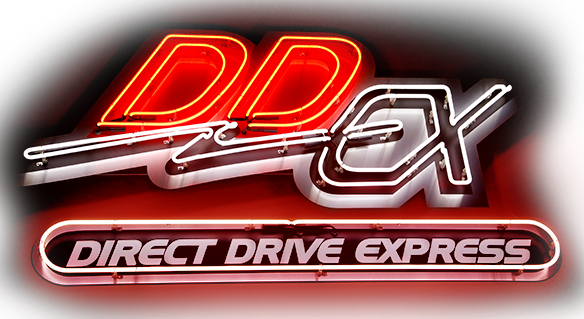 Direct Drive Express lives and breathes flexibility. Flexibility is how Wisconsin’s best shipping company will handle your business. Doing whatever it takes in shipping logistics to help your business succeed while adhering to the highest trucking industry safety standards. DDEX provides storage and order fulfillment for all your KANBAN or ‘just in time’ warehousing needs. Milwaukee Fortune 500 companies to ma and pa businesses across the Midwest depend on Direct Drive Express to seamlessly manage order fulfillment and supply chain with our Milwaukee hub based trucking fleet. Direct Drive Express custom tailors our Milwaukee based warehousing and Midwestern order fulfillment services to the specific needs and requirements of your business. From delivering raw materials to your Chicago area production facility just in time for production, to Wisconsin statewide distribution, to shipping and Illinois freight delivery service, setting down product on your customers' doorstep always on time is Direct Drive Express. The DDEX Milwaukee based trucking fleet maintains an unrivaled 99.4% on time delivery arrival record. With Direct Drive Express KANBAN Wisconsin headquartered trucking delivery services your business runs more efficiently, your supply chain is reliable, and your customers are satisfied. 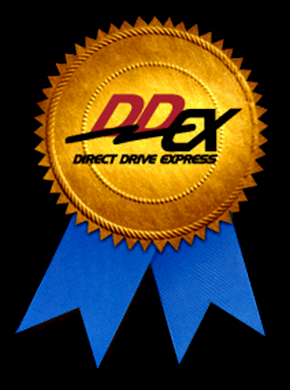 Direct Drive Express maintains the highest standards in trucking safety with our award winning crew. Our modern, Milwaukee based trucking fleet can handle all of your trucking logistical needs. Regardless of size, scale or location, each DDEX customer is our partner and treated as an immediate priority from logistical warehousing to the pickup and delivery of freight and product from anywhere in the Midwest to anywhere in the Midwest. More than the best Milwaukee trucking company, DDEX is the premier Midwest logistics and trucking solution provider. DDEX recently received the "Woman-Owned Business Enterprise " certificate from the Wisconsin Department of Administration. DDEX is Milwaukee’s trucking industry leading freight solutions provider, handling and tracking hundreds of shipping transactions daily, with always on time trucking delivery numbers consistently continuing to rise. DDEX has created an all-in-one shipping solution service for Midwest based business, complete with personal attention and customer support. Take a look around the premier Midwest trucking company website, then Get Your Freight Moving by filling out our easy Truck Shipping Quote form or pick up the phone and call us at 414.453.9200 or Toll Free 888.453.9222 and find out how much better Wisconsin's best trucking company can make your business run.